Harry & David offers free standard delivery Any Purchase via coupon code "IRFSD". 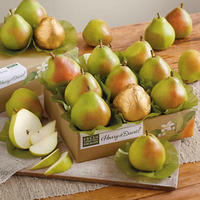 Harry & David offers the Harry & David Royal Verano Pears for $22.99 via coupon code "FSDEALMOON". Harry & David offers an Harry & David The Best of the Best on Sale extra 20% off. Save 20% on your purchase of select regular priced Harry & David product via coupon code "CODE20". Or save 20% on any order of $75+ at Harry & David via coupon code "SHARE20". Or save 15% on your purchase of select regular priced Harry & David product via coupon code "IR15". One deal can be used at one purchase. Shipping fee is from $4.99. 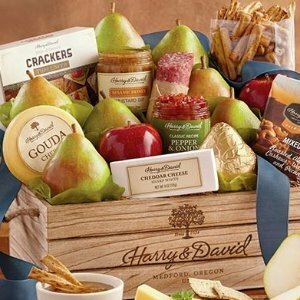 Harry & David offers the Harry & David Tower of Treats Signature Gift for $19.99. Free shipping via coupon code "GIFT". Features: Our founders dreamed up the first-ever tower gift on the market back in 1945. 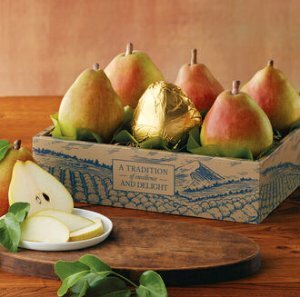 We've carried on the tradition ever since by creating gifts, like this stack of beautiful boxes, filled with such delights as exceptional Royal Riviera® Pears from our orchards. We include everybody's favorite snack: milk chocolate Moose Munch® Premium Popcorn, as well as sweet chocolate-covered cherries and indulgent signature truffles, all from our candy kitchen. 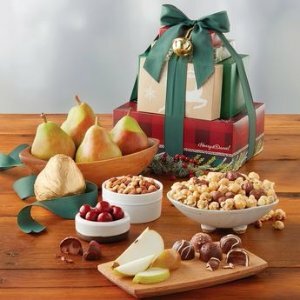 There are even more snacks tucked into this delightful gift topped with a hand-tied bow and a charming bell. 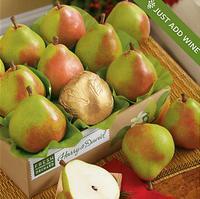 Harry & David offers free Harry and David Holiday Royal Riviera Pears via coupon code "HDPEAR". 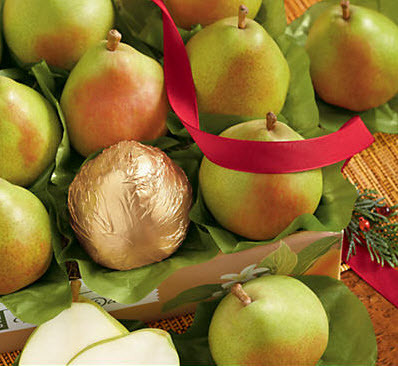 Features: Make someone's holiday season shine with a gift of Royal Riviera® Pears. Drenched in juice, every exceptionally sweet bite speaks of sun-filled days and cool nights in our Southern Oregon orchards. Fresh and delicious, these pears are truly a dessert in themselves. Treat your lucky friend or loved one to an unparalleled experience of pear perfection. 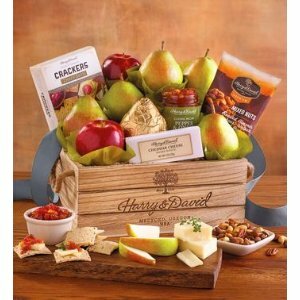 Harry & David offers free Harry and David Maverick Royal Riviera Pears via coupon code "HD289". 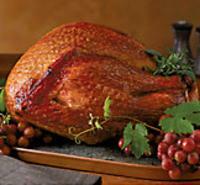 Harry & David offers free Harry and David Holiday Royal Riviera Pears via coupon code "HD289". 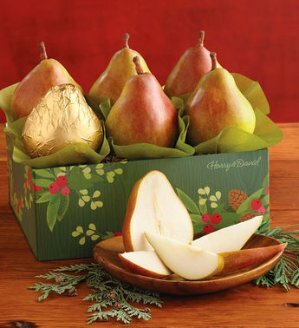 Harry & David offers the Three Boxes of The Favorite Royal Riviera Pears for $39.99. Free shipping via coupon code "HDFSNM". Features: 3 boxes, each containing approx. 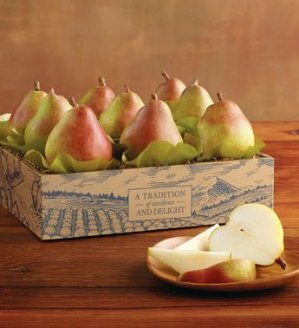 9 Royal Riviera® Pears (5 lb per box); Net Weight: 15 lb. 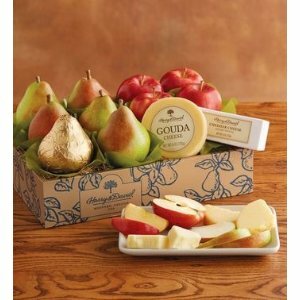 Harry & David offers the $29.99 + free shipping TWO Boxes of Royal Riviera Pears via coupon code "GO15". 7) Checkout and enter free-shipping code "HDFSNM". Harry & David offers the Cream of the Crop Royal Riviera Pears for $25.89. Features: At nearly a pound apiece, the Cream of the Crop Royal Riviera® Pears are "so big and juicy, you eat them with a spoon®." Expertly grown and handpicked, these premium pears have a soft, buttery flesh that's so sweet, you might want to save them for dessert. 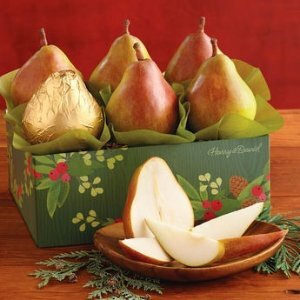 A box of our biggest and most impressive pears makes an excellent gift, even if it's for yourself. Every fruit gift is guaranteed to arrive in perfect condition. 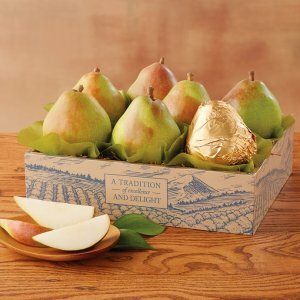 Harry & David offers The Favorite Royal Riviera Pears for $19.99. Features： The pears that started it all. Our founders, Harry and David, called these pears "so big and juicy, you eat them with a spoon®." That was 80 years ago, when the brothers started selling Southern Oregon-grown Royal Riviera® Pears as gourmet gifts. 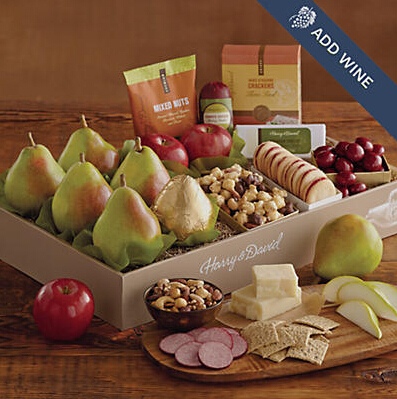 Harry & David offers The Favorite Royal Riviera Pears for $22.49. Free shipping via coupon code "CHEER". 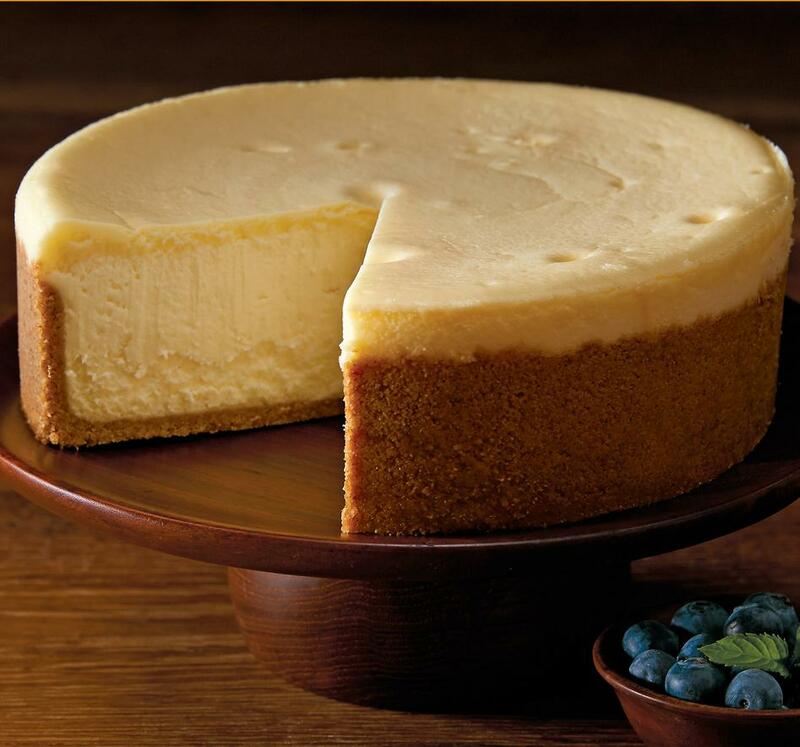 Harry & David offers 9.95 Flat-Rate Shipping THE CHEESECAKE FACTORY CHEESECAKES via coupon code "CAKES". Harry & David offers 20% Off Selected Harry & David Sale via coupon code "CODE20". Harry & David offers Up to 50% Off Winter Sale. Shipping fee is from $4.95. 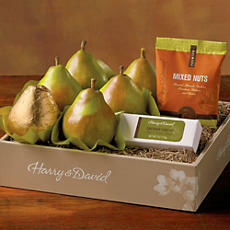 Harry & David offers The Favorite Royal Riviera Pears for $19.95. 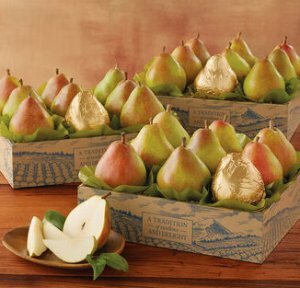 Harry & David offers the One Dozen Royal Riviera Pears for $24.95. Free shipping via coupon code "FREEDELIVERY". 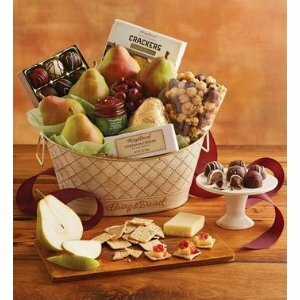 Harry & David offers The Favorite Royal Riviera Pears for $19.95 via coupon code "FREEDELIVERY". Harry & David offers 20% Off Online Harry & David Sitewide via coupon code "SAVE20". Harry & David offers Up to 40% OFF Memorial Day Sale.